Deploy the Cannons wit 10 Archers each. You Barbarians will travel over traps, deploy more. 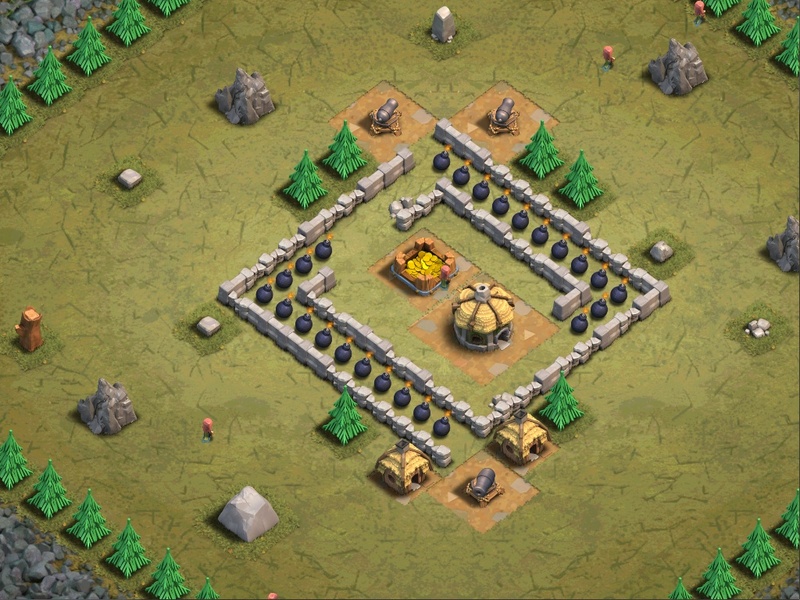 Deploy some Barbarians to activate the traps. Deploy the rest of your Archers. 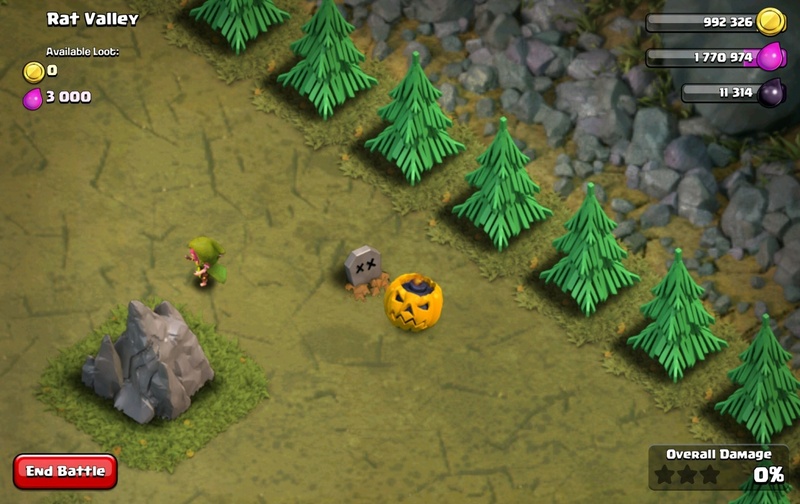 There is one hidden Pumpkin Bomb located in this map. Look for it in front of the regular troop’s Gravestone at the right corner.